It seems like every year, summer vacation goes quicker and quicker and before we know it, school comes a calling. What I’ve always liked about teaching is that each year is a new beginning. What happened last year is in the past and I’m always so happy to meet my new charges. New challenges, new things to teach, new things to learn, different methods and programs keep my teaching fresh. 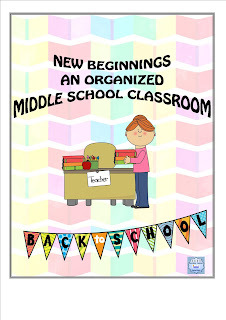 I’m going to share some of the things that I do to organize my classroom into the best environment for learning. Here are some tips that I've used and they’ve been quite successful. We have two main groups of 25-30 students each. Before school my partner and I take a look at the comments from last year's teachers. We then set the children up into groups according to their grades as well as their strengths and weaknesses. We come up with creative names for them such as: Greeks and Romans, Black and Blue, or we ask them what they’d like their group to be named and we take a vote. The kids really like to pick their own names. Of course we change them each year because we don’t want the kids to know which is the higher or lower group. I’m a great proponent of Collaborative learning, so I set up my classroom accordingly. It works quite well for what I want to do. I like my students to work in groups of four so I make two rows of horseshoes. Two members of the group are in the front, the other two sit in back of them. So when it is time for group work, the front row only has to turn their desk around to face the other two. Of course this takes a little bit of practice, but they eventually get it. When we begin group work it can get noisy so I have to remind them to use inside voices, I might also hold up a finger, ring a little bell, or hold up a QUIET sign to let them know they need to quiet down a bit. Groups are composed of one high level child, two with average ability and one lower level child. I also try to have 2 boys and 2 girls in each group. That way there is diversity in abilities and they can all help each other. 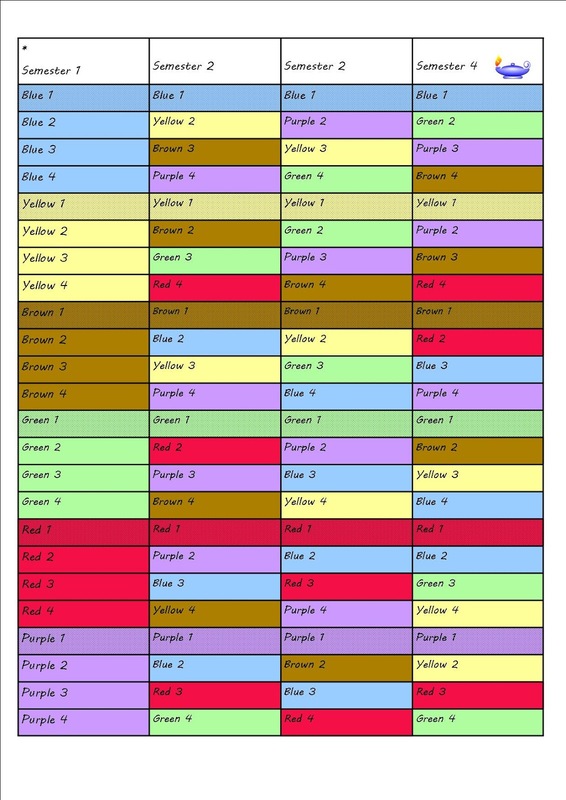 I found that the best arrangement for groups is no more than 4 so if I have 25 students I will make 6 groups of 4 and one with 5. Each group remains the same for one semester, and then we rotate. We would change groups 4 times throughout the year since we had 4 semesters. I liked having them work together for at least two months, getting to know each other, cooperating and allowing each child a chance to be heard. Of course there are always one or two kids that have a hard time working with others. If that occurs, you might pull them from the group and have them work on their own, esp if they are disruptive, until they can prove that they are able to work within a group. Setting up the rotations takes a bit of work since you don’t want to have the same kids in the group more than once. Like most school, we use a computer grading system, but, I’m a little old fashioned and like a hard copy of my grades. It’s easier to write them in my trusty grade book and then transfer them to the computer. Also, if a parent or student wants to see their grade, I find it easier to just show them the book. 2. 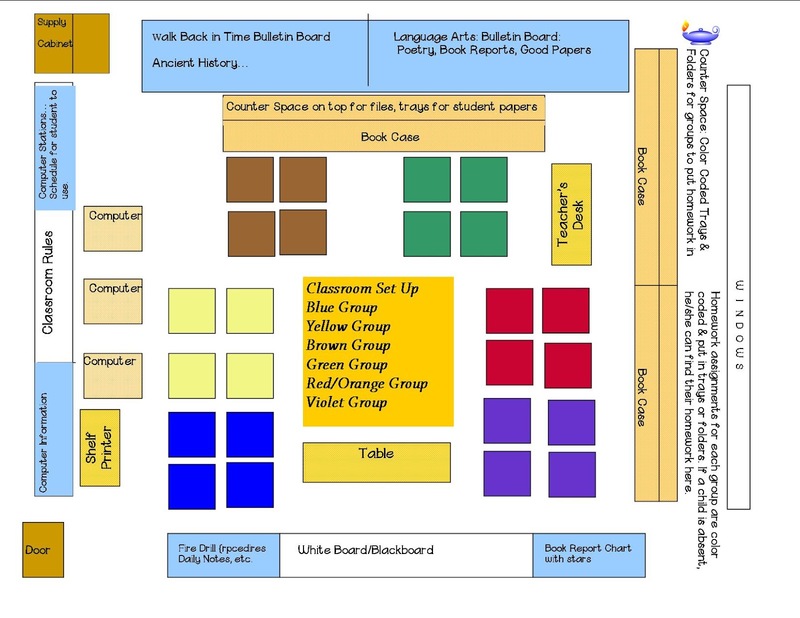 Label both sections with English, and Social Studies. enough pages for all of the semesters. so please take a look at the images of my grade book. Bulletin boards are next, I decorate one for social studies and language arts which I change each semester for some variety. 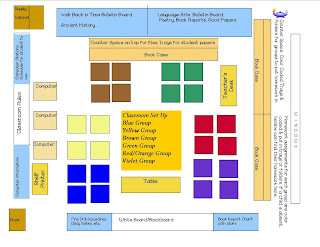 I have a checklist for book reports, Computer Dos and Don’ts, Quotes to discuss, a rewards board and classroom rules. Before I drift off to sleep the night before my students arrive, I can breathe a sigh of relief knowing that my room is set up. I'm now ready to dive into another exciting and rewarding school year. This post is part of our Sharing is Caring Teacher Blogging Collaborative. 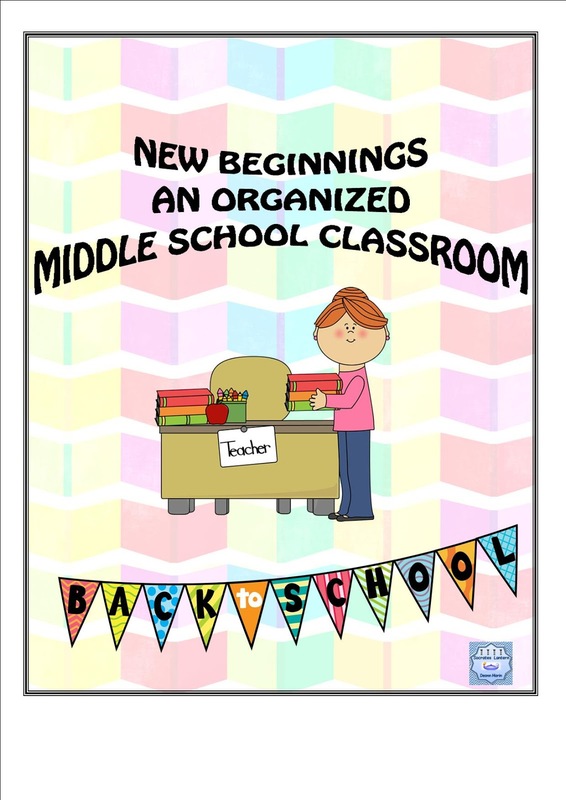 Read about how these veteran teachers approach the beginning of the school year.